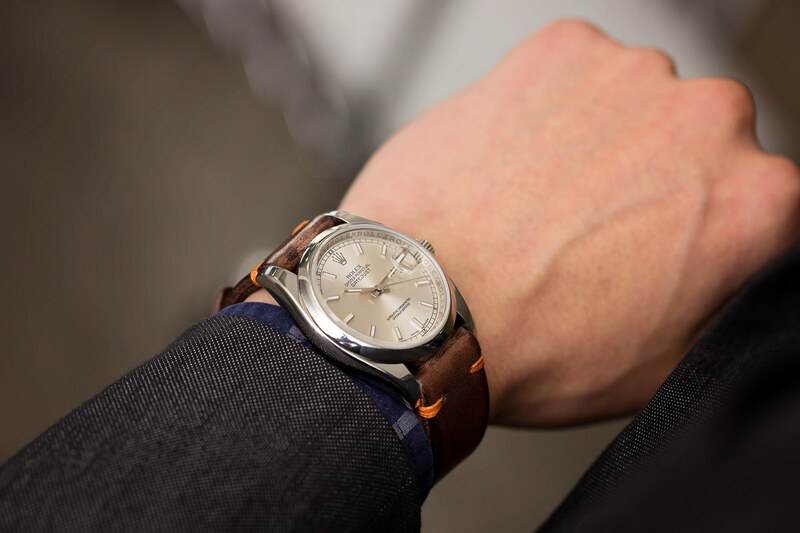 The modern standard of the classic watch, the Rolex Datejust can be easily dressed up or dressed down. A far cry from boring or basic thanks to an aesthetically versatile face with hour markers and fashioned with 18-carat gold to prevent tarnishing, this stylish but simple watch is perfect for jet-setters and homebodies alike. The Rolex Datejust looks great, but can you keep up? 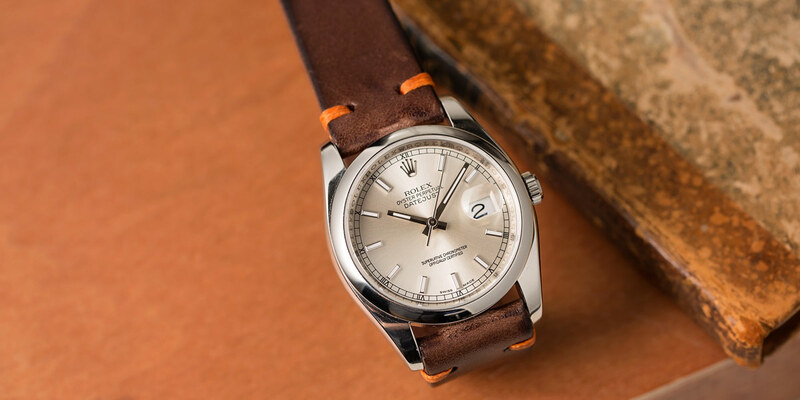 The iconic Rolex Datejust has sustained its popularity over many years and this can be attributed to its customizable style. Each watch can be designed with any metal material, bezel or bracelet style the wearer wishes. Watch aficionados can choose from steel, platinum or yellow gold as the main material for their timekeeper and they can also add a fluted or gem-set bezel with an oyster, president or jubilee bracelet design. With so many options for creating a one-of-a-kind and distinctive timepiece, this watch can be tailored to one’s professional and leisure pursuits. A simple outfit will make the Rolex Datejust stand out. The self-winding chronometer of the Datejust was launched in 1945 and has become famous for its appearance on various movie stars. In fact, the Datejust might be one of the most iconic film timepieces ever. Bill Murray sported a black dial Datejust in the film Lost in Translation, Harrison Ford wore a white Roman numeral dial and white-gold bezel version in the 1980s movie Frantic and Paul Newman wore a Datejust in The Color of Money in 1986. Plus, many politicians fell for the classic simplicity of the Datejust including Bill Clinton, Eisenhower and Ronald Reagan who all wore the watch during their presidencies. 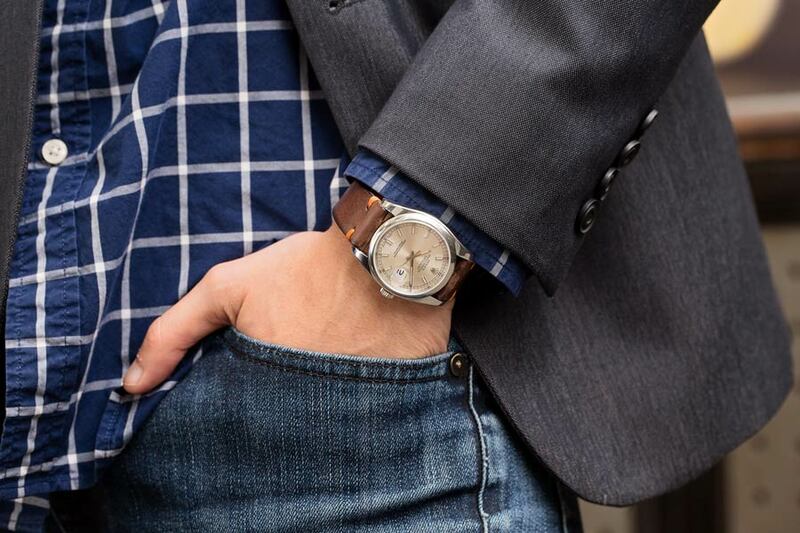 The casual cool and classic aesthetic of this watch makes it perfect for making a breezy fashion statement if even if you’re not running for office. Try a lightweight plaid button-down with a navy or gray blazer and add a pair of dark wash jeans. Give the look a little urban edge with burnished tan boots and a cognac colored leather belt. Whether you want it on the original bracelet or enjoy the touch of leather is purely up to you. Today, the Datejust is celebrated for its refined elegance, history and its triumphant watchmaking quality. In addition to looking as good for that next date you’ll be making a sound investment for the future. For the casual watch enthusiast or the die-hard collector, this watch is not to be missed.